I come back with DIY project for this December. Now I want to show you on how you can save labour cost on changing engine oil. 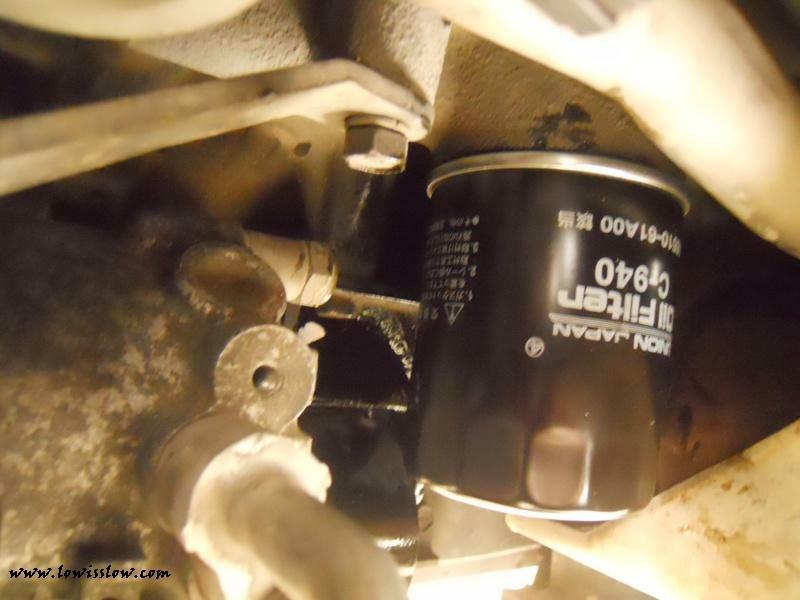 Just buy engine oil and oil filter, than do it yourself. First, lift up the car at the front side. 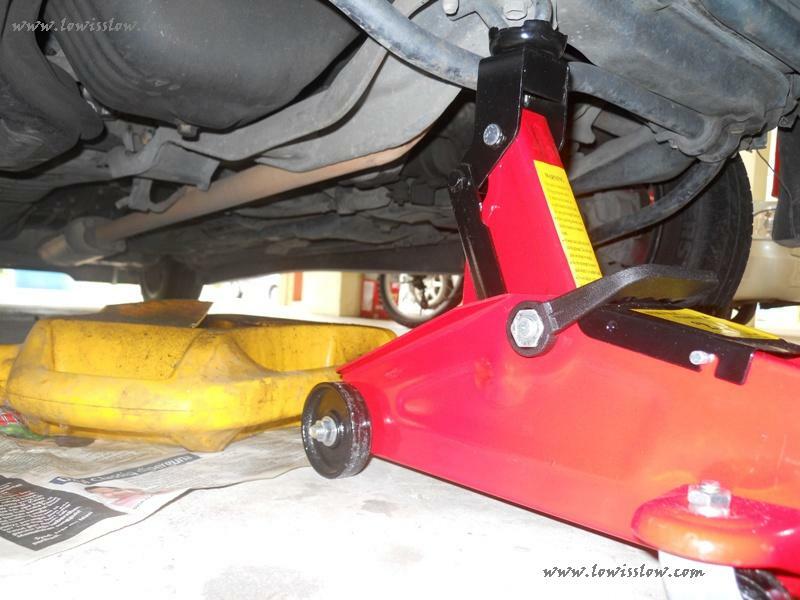 Make sure you have secondary lifting such as jack stand; or put something below the car just in case the jack failed to function properly. Never work underneath the car if you don't have this (lifting backup), remember not everything is perfect. Safety must come first! Then find draining screw. 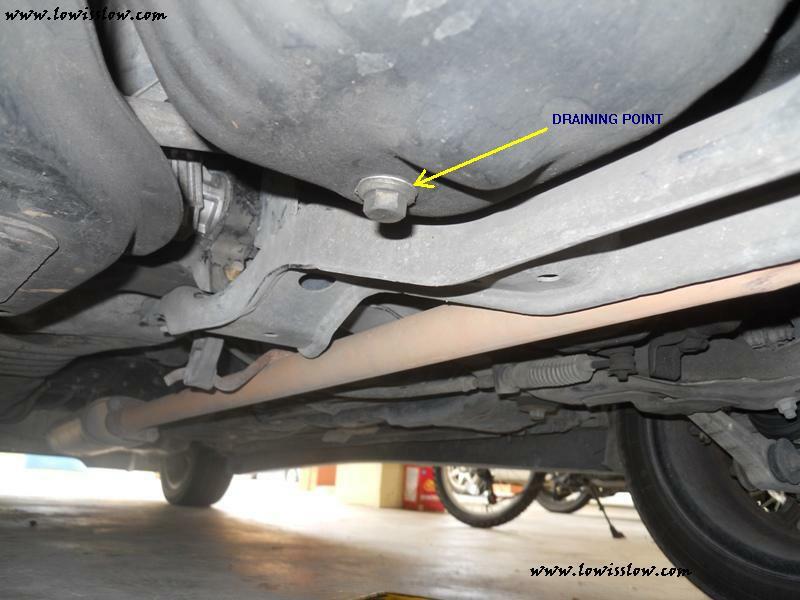 For Perodua Kancil, yellow arrow below is draining screw. Use wrench size 14 to open it. But before that, standby with container for drained engine oil. Once the used oil flowed to the container, open the engine oil cap located on top of the engine head and let the engine oil fully drained. Now you can remove engine oil filter. 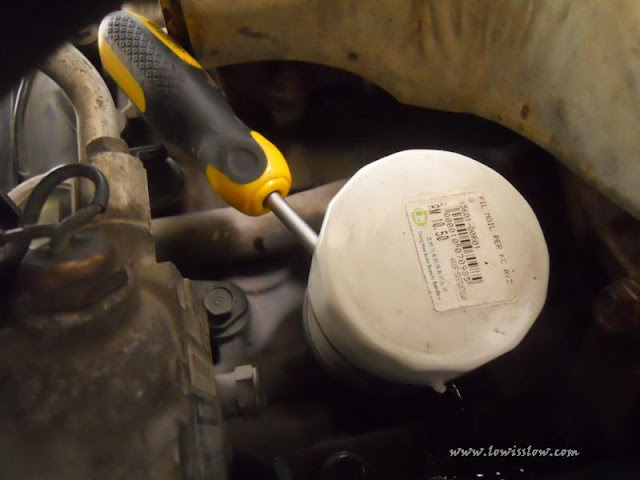 If you have an oil filter wrench, it should be easy. But if don't have that, you can use my own creativity to remove it, by using screw driver and hammer. look picture below. Now I can turn it counter clockwise to loosen it. Sometimes, when engine is cold you can turn it by hand only. After that, clean that area. 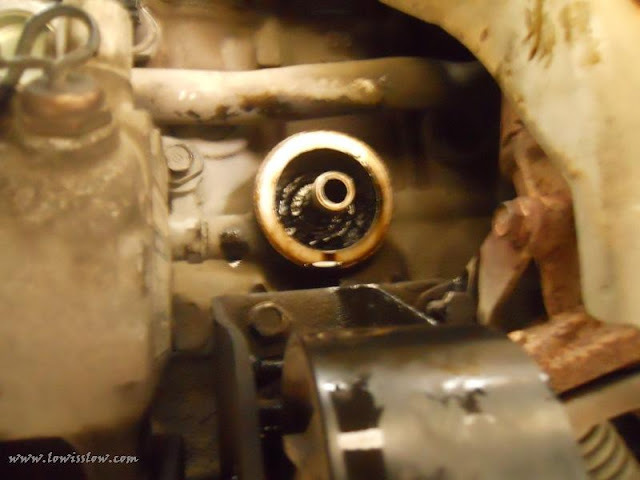 Rub oil seal with engine oil before you install it. 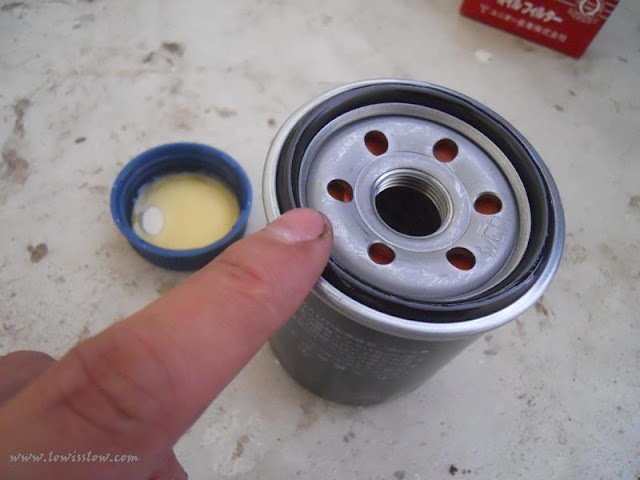 Tighten an oil filter by your hand until you can't turn it. Never use wrench to tighten it. 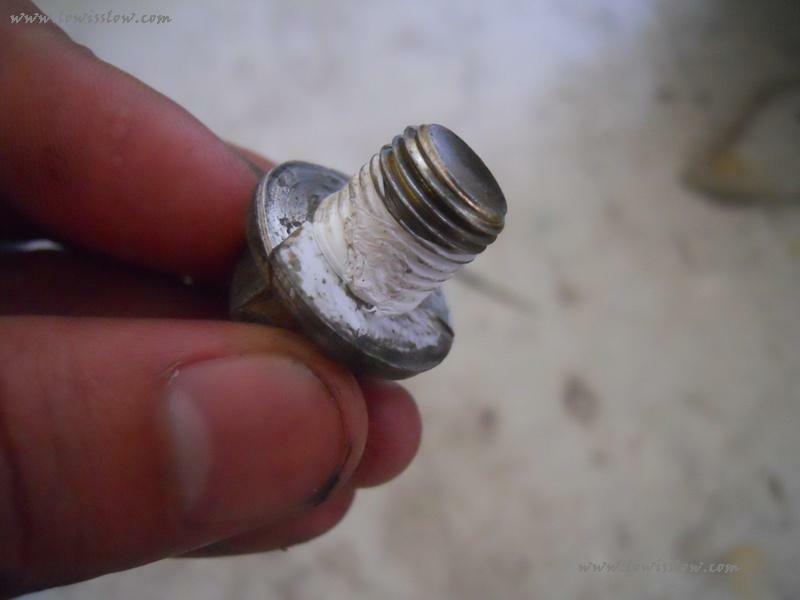 Using Teflon, wrap 3/4 rounds of the draining nut like picture above to prevent oil leaks. Then put it back to its origin. Do not over tighten. 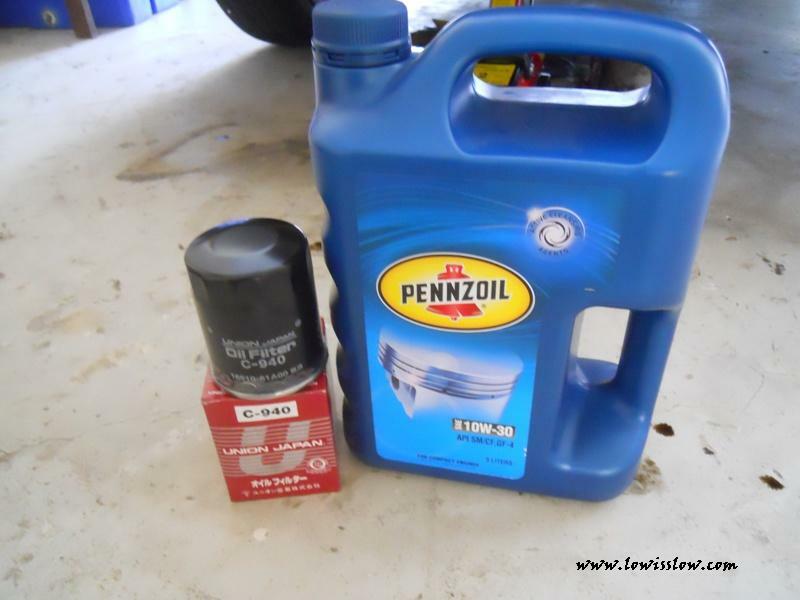 I am using PENNZOIL 10w-30 (3 Litre) Engine Oil and Japan made oil filter. Price: Engine Oil RM50.00, and Oil Filter RM8.00. Buy it at spare-part shop to get this price. If you buy it from workshop/wheel allignment/servicing center, the price will be around RM58-60. PENNZOIL should pay me commission for promoting their product. 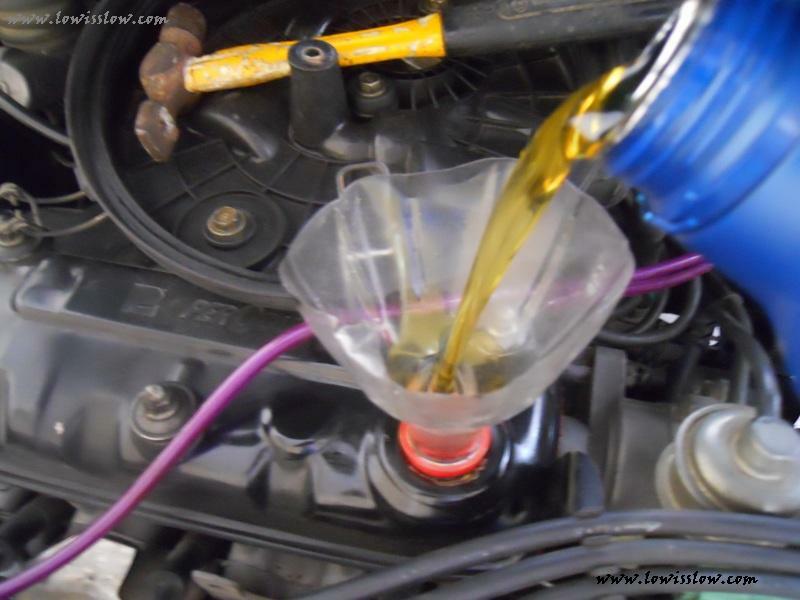 Pour engine oil into the engine head by using funnel. As you can see here, I don't have funnel, so I use my creativity by using 1.5 litre Coca-cola bottle's mouth. Left engine oil about 2 inches in the bottle. 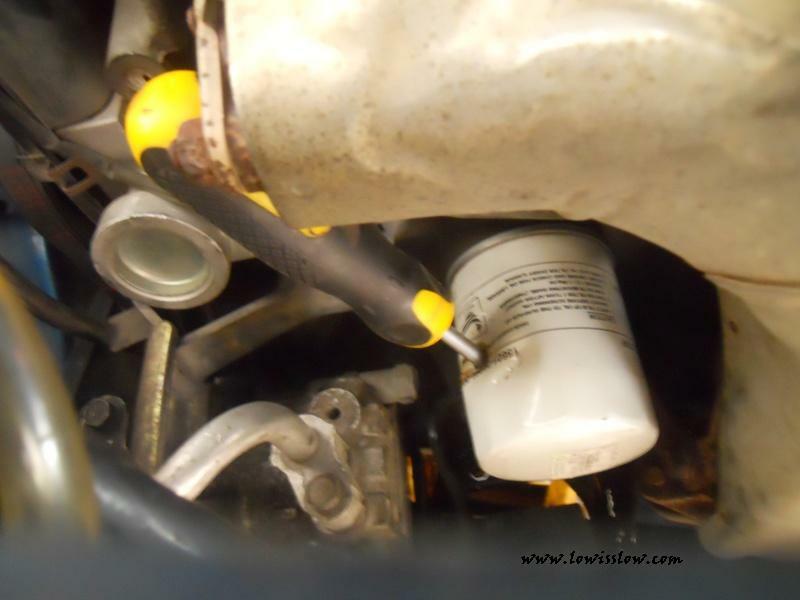 Check for any leaks especially at the draining screw and oil filter. 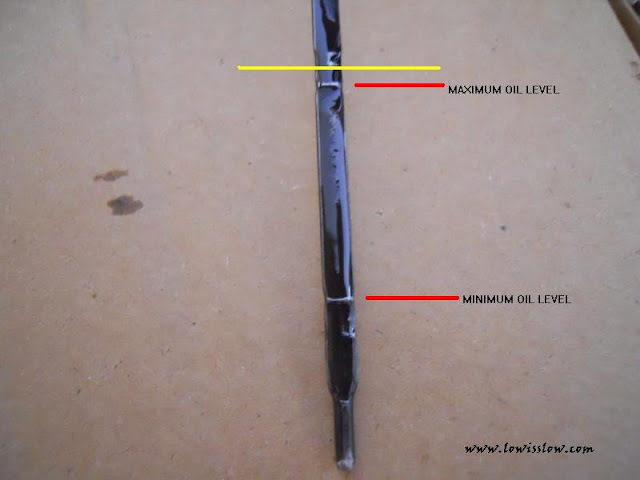 Take out an oil dipstick. With a paper towel or rag, wipe off the end of the dipstick and notice the markings on it (You will usually see a mark for "FULL" and another mark for "ADD". Start engine for 2-3 minutes and then turn it off. 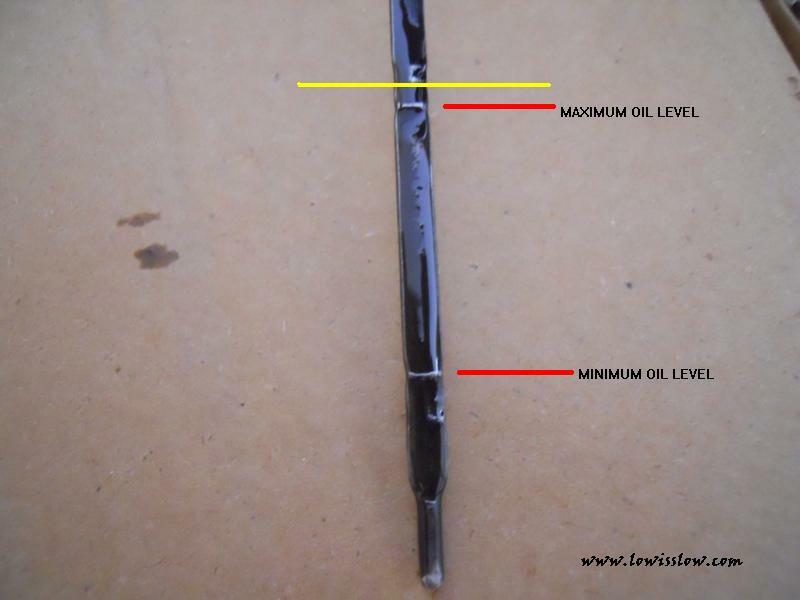 Let it for 5 minutes, then check back the dipstick, top up (if necessary) until oil level reached maximum level or yellow line above. Remember to note down the current mileage for the next servicing as below. **Service your car every 5000km, or 3 month which one come first.. Check your car servicing manual. Before you leave, check air filter (if clogged, change with a new one), battery acid level, wiper water level, radiator reserve tank coolant level, brake and clutch fluid. If necessary, change the spark plug also for superb performance (if you got tool for that). Nice info.... How about Diy on installing new Viva radiator.. Im thinking of doing it. installing new radiator very easy bro. just remove clips on upper & lower hose connected to the radiator. then remove 2 screw on top of the radiator. then you can pull it up.. Thank u for the information! Allow me take you via an exceptionally simple procedure to perform this test WaterSoftenerGuide Water utilized in our residences. Top Fleck 5600sxt Water Softeners Guide 2018 it comes with UV Sterilight filtration innovation Top Fleck 5600sxt Water Softeners Guide 2018 Residue is an awful experience in your shower, bath tub, sink, and so on. Also Read ONLY setting up a water softening system in your house can save you. Homepage utilizing a turned on carbon filter along with your filter.